BT has wrapped up the latest deals with local authorities to provide superfast broadband for rural areas, signing contracts with Oxfordshire and Worcestershire. The Oxfordshire agreement is aimed at providing broadband speeds of 24Mbps and above to at least 90% of premises in the county by the end of 2015. The more isolated rural pockets should get a minimum of 2Mbps, and the county council is aiming to raise more funds to improve their coverage. 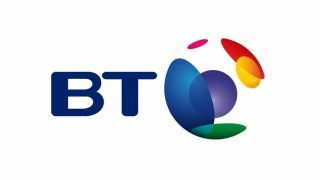 BT is pumping £11 million into the plan, with £10 million from the county council and £4 million the Government's Broadband Delivery UK fund. The Worcestershire deal is aimed at providing superfast broadband for 90% of premises by the end of spring 2014, and involves BT stumping up £8.9 million, the county council £8.5 million and Broadband Delivery UK £3.35 million. BT effectively has the field to itself in providing a superfast broadband infrastructure for rural areas and has been signing a series of deals with county councils. But it has recently come under scrutiny from Parliament's Environment, Food and Rural Affairs Committee, and communications regulator Ofcom has proposed more controls over its pricing.